Take a can in your hand and bomb on a building – all over – with light – no ladder or rope required. Graffiti Research Lab Germany presents a new generation of digital graffiti for physical architecture. Manipulating the look of a well known building, using your imagination, leaving your mark and your message, owning it for an evening. LIGHT BOMBIMG lets you interact with what seemed static, grey and unchangable with a push on a spray nozzle and a simple stroke of your hand. If you are around, join us for our next event at Lausanne, Switzerland! 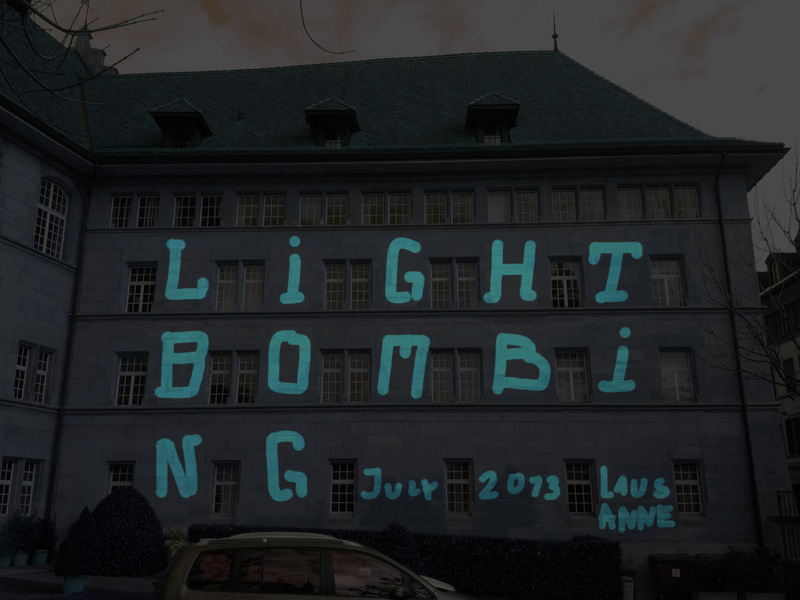 Featuring graffiti writers from Berlin and Lausanne.